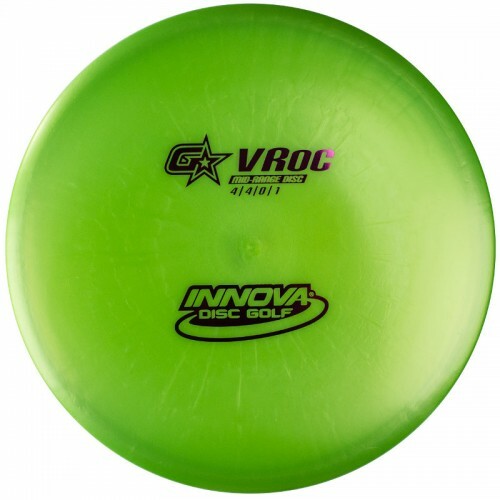 The Innova GStar VRoc is a stable mid range driver with a convex rim. The VRoc is a well-mannered cousin of the San Marino Roc with more torque resistance, smaller fade and a longer range. It is a straight flyer that can handle power and works well for touch shots. The VTech rim feels great in the hand and gives the VRoc a more neutral flight regardless of throwing power. This disc golf driver is designed for players of all skill levels. It's good to go straight out of the box.